Our second group of players in our Prospect Rankings series features quite a few players who have just recently joined the organization. After going undrafted in his first year of eligibility, Teasdale picked up his offensive production, scoring more goals than his first two seasons combined while being a key two-way forward. However, that still wasn’t enough to get him drafted back in June although it got him on Montreal’s radar where he eventually landed an entry-level deal. With their top three scorers from last season having graduated to the pros, Teasdale now has an opportunity to really carry the Armada this season. That will go a long way towards determining how much upside he ultimately has at the next level – is he a defensive forward with a bit of upside offensively or could he be a legitimately two-way player professionally? If it’s the latter, this ranking will be improving by a fair bit next year. NHL ETA: 2022-23 – Even with a strong showing in what should be his final junior year, Teasdale will still need at least a few years in the minors before having a shot at making the jump. His first pro season will likely be in a depth role which will result in a bit slower of a development curve. Houde has failed to live up to his draft billing in the QMJHL but the Habs decided to take a flyer on him late in the draft back in June. (A side note – Montreal seems to take a lot of first-round QMJHL picks when they add someone from that league.) He has a decent complementary skill-set but doesn’t have one element of his game that really stands out either. With the Klima twins gone, Houde now is a top-liner for the Sagueneens and that may have played a factor into where he was drafted as his performance last season in itself was not worthy of a pick. The hope is that with the increased role and extra ice time, he’ll have a breakout campaign. (The early returns are pretty good in that regard.) Project picks are always risky from the junior ranks given the two-year window to sign them but clearly, the Habs think he was worth taking a flyer on. NHL ETA: 2023-24 – If he can land himself an entry-level deal by June of 2020, Houde is someone that is going to need a lot of AHL time before he’s ready. Like Teasdale, he’s going to probably start in a limited depth role which would make his rookie year largely a write-off. I don’t like to drop players who miss nearly an entire year due to injury/illness too far down in the rankings so this placement may be a little higher than it should be. He missed most of last season due to shoulder surgery and when he did get into Laval’s lineup, he didn’t exactly do a whole lot. That said, it’s hard to make an impact after sitting so long so I can’t fault him too much for that. However, it’s more than a little concerning that he has been a healthy scratch in every game this season. He doesn’t need to be playing in the top-six but if Addison can’t crack an AHL lineup in his second pro campaign, it’s cause for concern. He’ll get his chance when injuries eventually strike but with the extra depth in Laval, he’ll have to make the most of it quickly or risk getting bypassed for good. 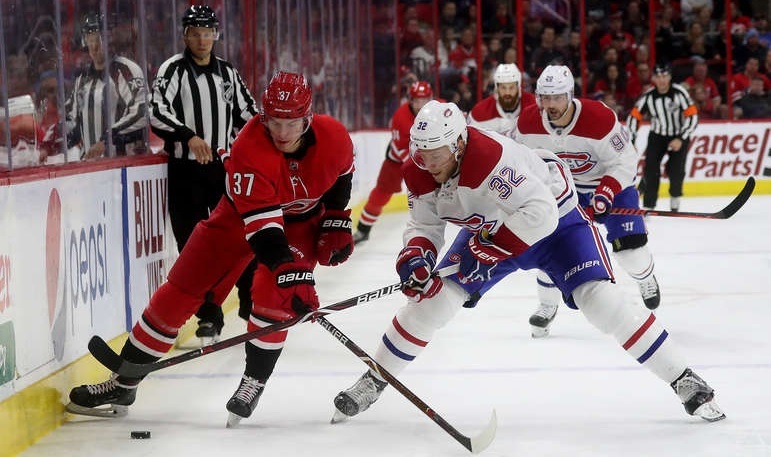 NHL ETA: 2022-23 – Part of the allure with Addison a couple of years ago is that he was someone that could possibly move up quickly if he took to a bottom-six role in Laval. That clearly hasn’t happened. He’s going to need some time to establish himself as a regular player first before having any NHL aspirations which will likely take him beyond his entry-level deal. Alain made huge strides in his final junior year which got him back on the NHL radar. His 44 goals and 87 points matched his output from the previous two years combined and made him one of the top three scorers in the league. He also happens to be a right-hand shot, something the Habs don’t have a lot of when it comes to their centre prospects. While he wound up being a big scorer at the end in junior, that’s not going to be his calling card at the pro level. 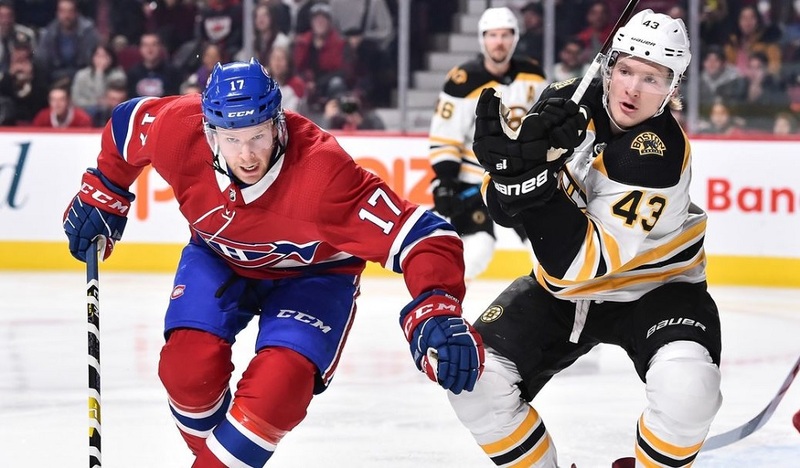 He’s a good skater and a conscientious defender and that is how he’s going to earn his minutes while his offensive game develops at a slower pace. He has the trust of Joel Bouchard already having played for him in junior so there is an opportunity for him to make an impact a lot earlier than most of the rookies. 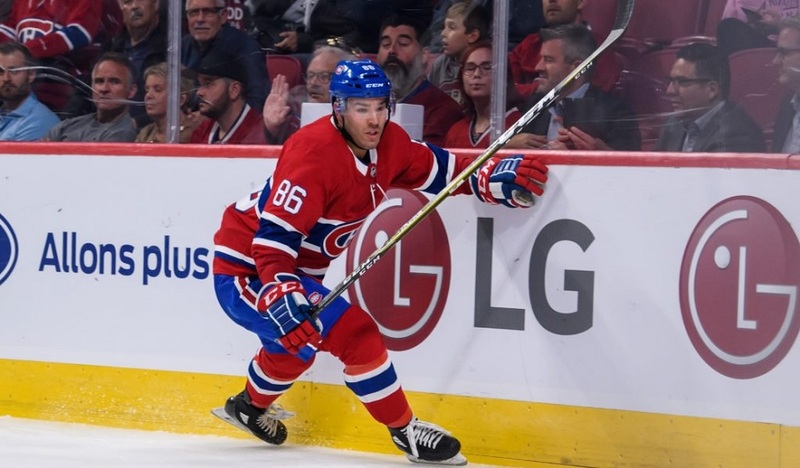 NHL ETA: 2021-22 – Assuming he can continue to hold down a spot in Laval’s top nine this season, Alain should position himself to push for a top-six spot as early as next year. That would position himself well to be a recall option in 2020-21 and in the mix for a regular spot the year after that. However, this is the best case scenario and a lot can go wrong between now and then. Of the two Czech defenders that the Habs signed over the offseason, Sklenicka is the more intriguing of the two. He’s more built for the modern NHL as he’s a very strong skater while he’s nearly two years younger than Michal Moravcik. So why is he the lower rated of the two? Sklenicka is by far the riskier player. His ceiling is higher but his floor is considerably lower as well. Moravcik doesn’t have to go too far before he could potentially be in the mix for a call-up but Sklenicka has a much longer way to go to get there. If these rankings were based on raw upside alone, he’d be a lot higher but I’ll take the more conservative route and start him lower with the hopes that he can refine his game (especially when it comes to pinching, something he does more often than he should) and work his way up the depth chart as the season progresses. Don’t let the low ranking fool you – I like the signing. NHL ETA: 2020-21 – The term of the entry-level contract is dictating this ETA. I think it will legitimately take longer but if Sklenicka isn’t at least close to being NHL ready by then, it’s hard to imagine him choosing to stick around for more AHL seasoning at the age of 24.